Patrick Merton is hoping to fully retire within the next five years and as a result is taking a “more thorough review” of his various savings and investments. Merton, who lives with his wife in Bath, says he has seen a financial adviser to help him with this process. “In the past I was a little sceptical about the benefits of financial advice. I was mis-sold a pension fund that seriously underperformed back in the 1990s, so since then I have tended to make my own investment decisions. Elsewhere Merton says he has a hotch-potch of smaller company pension schemes plus a number of ISAs. He says: “On the advice of my adviser I am consolidating a number of these pension holdings within a SIPP. This makes it easier to manage and should help ensure I have more of a balanced portfolio. Merton and his wife are still keeping their ISA portfolio, although they have made a few more modest changes to some of the underlying investments. Merton points out that his own mother is currently in a nursing home and he appreciates that this later-life care can make “a serious dent” in family savings. When it comes to individual investments Merton says he has opted for a managed portfolio, run by L&G for his SIPP. This invests in a mix of assets, including equities, fixed income and some commercial property. With his ISAs he has a mix of funds as well as a portfolio of direct shareholdings. Some of his longer standing holdings include BP (BP. ), GlaxoSmithKline (GSK), Persimmon (PSN) and Vodafone (VOD). 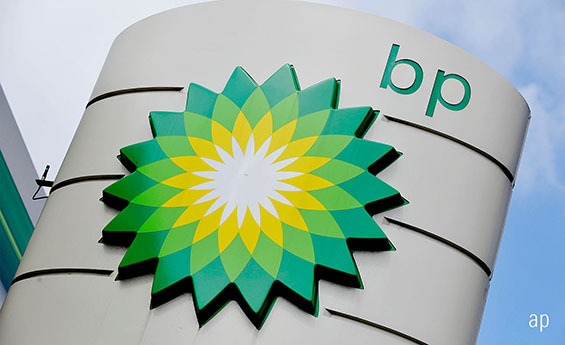 BP has a four-star rating from Morningstar. According to Morningstar analysts it has a narrow moat, and its current share price is below its fair value estimate of 670p. Over the past five years it has delivered total annualised returns to investors of 8.23% according to Morningstar data. Drug manufacturer GlaxoSmithKline is another four-star stock, according to Morningstar. It points out that GSK’s results in the last quarter of 2018 were ahead of market expectations. House builder Persimmon is another strong dividend payer. According to Morningstar figures it is currently yielding 9.82%, which is one of the highest yields in the FTSE100. Strong house price growth in the past decade has helped to bolster the share price at this company, as have schemes like the Government Help to Buy initiative. This is certainly reflected in its share price. Over the past 10 years investors has seen total annualised returns of 21.19% - although over the last year the picture has not been so rosy. According to Morningstar figures investors have seen a total loss of 8.84% over the past 12 months. He says that although these remain higher risk funds, he is sticking with them for now. “It’s still a few years until I do retire, so I’m hoping for some growth over this period. Merton says he mainly invests in active funds and investment trusts. His global investment trusts include the Silver-rated F&C Investment Trust (FCIT), while he also invests in Aberdeen Emerging Markets Fund. Aberdeen Emerging Markets has a four-star rating from Morningstar, although it has more recently been downgraded from a Silver Rating to Bronze. The fund is managed by Devlan Kaloo. Daniels adds: “The investment approach has also been evolving, giving us pause. For more than two decades, Aberdeen has applied a patient, bottom-up approach focused on quality and value. Historically, the team preferred to get its Chinese exposure through Hong Kong names, largely because of corporate governance and transparency concerns.